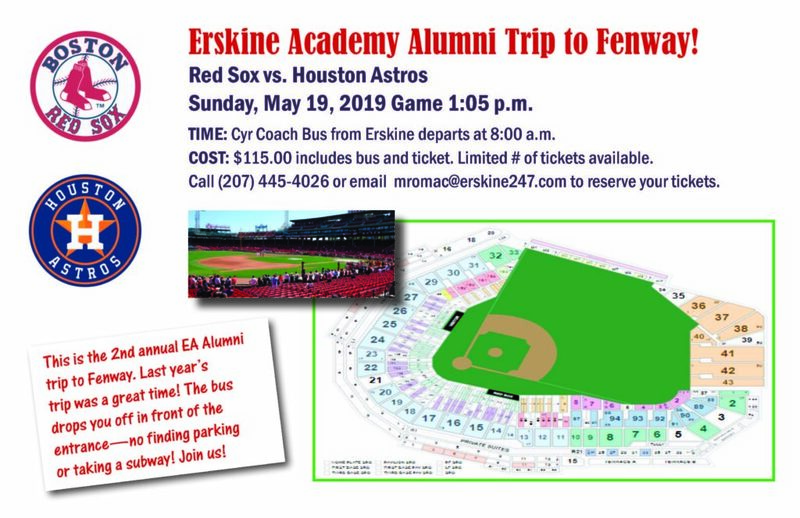 Alumni are invited on a trip to Fenway Park in Boston for a Red Sox game on May 19 and the All Alumni Reunion is May 31 -June 1. For more information, go to the Alumni Events page. The Reunion flyer has been mailed. We’d love to see you again!